Not abiding / ignoring exclusions? A week or so ago I noticed that compilation takes ages to finish. I also noticed the CPU handles shown in the Windows taskmanger for 'System' keep increasing over the course of the compilation and not going down, even after the script was finished. The memory allocation of the system got to 60% and stayed there, even after the script was closed. Malwarebyte was always running at 2-3% cpu usage while the script ran. Checking my ssd, my memory, drivers, en-/disabling Windows features nothing changed until I disabled Malwarebyte. After disabling Malwarebytes compilation was as fast as before, memory usage stayed at ~25% (8GB) and the CPU handle count didn't increase either while running the script. So my conclusion atm. is that Malwarebytes isn't respecting my exclusion. Would be nice if someone could look into this, since I would prefer not to disable MalwareBytes whenever I compile stuff. Your assessment is accurate. The way that Malwarebytes excludes things isn't to completely ignore their existence, only to not detect them as threats. 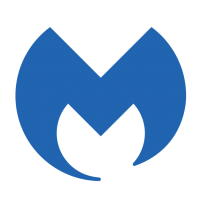 This means that you'll still observe CPU and memory usage by Malwarebytes when an excluded file/process is active. The only surefire way to eliminate this is to do as you did in terminating Malwarebytes completely via the Quit Malwarebytes option in the Malwarebytes tray context menu. I'm not a great fan of this myself, but at this point at least this is the way that it works. I have suggested that they implement exclusions in a more comprehensive fashion, since this obviously can lead to potential conflicts and/or performance issues not being eliminated by setting exclusions as they should be, however at least for now, this is how it functions as far as I know. Problem is Malwarebytes is messing up somewhere since it causes the 'System'-process (ntoskrnl.exe) to keep tons of CPU handles and not releasing them. After running the whole script I got 600 000+ CPU handles. It's most likely being caused by one of its drivers. Most likely the Ransomware Protection component as that's the one that does most of the heavy process activity monitoring. If you disable just that component do things improve at all? By the way, you can probably use a tool such as Process Monitor by MS Sysinternals to determine where the RAM/CPU usage are coming from (or at least identify the thread(s). Did a small test and from the looks of it you are right, the problem is the Ransomware Protection, when keeping it disabled the issue does not occur. Memory usage and cpu handles stay stable.